London is an AMAZING city for artisan cheese. 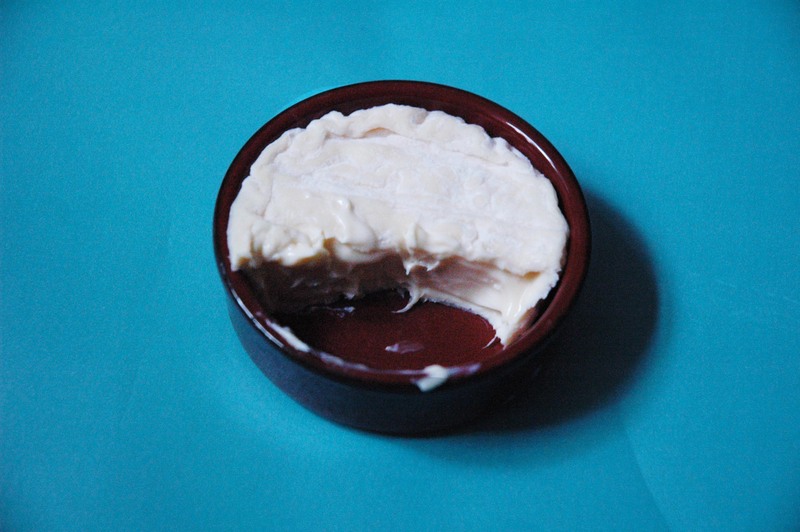 On a recent trip to Borough Market, one of my absolute favorite places to buy produce, olives, bread, and of course cheese, I picked up a delicious double cream cow’s milk French cheese. The French man running the stand tried to sell me a goat, however he did not tell me the name of the cheese I bought! After a bit of Internet researching, my best guess is that it was Fromage d’Affinois. It is a very soft, tangy, Brie like cheese. 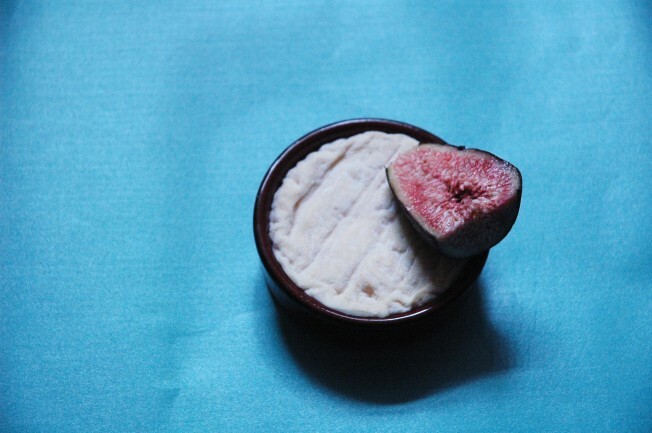 Easily spread and melted, but with an almost liquid texture and infinitely better tasting rind than Brie. What better to go with a powerful and slightly sharp cheese than sweet juicy figs??!! 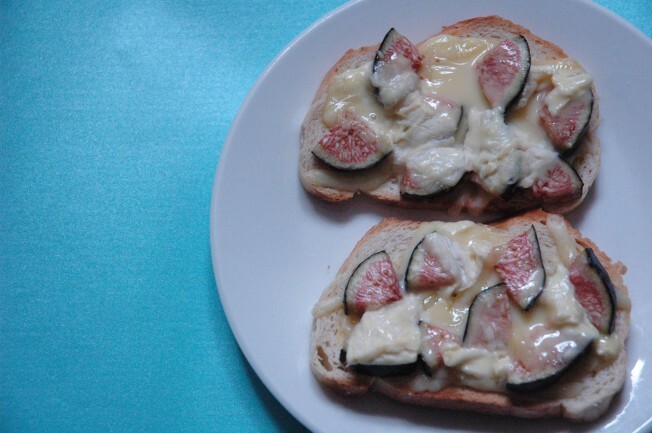 My favorite pizza is fig and goat’s cheese pizza, so these crostinis are inspired by that creation. This recipe is a super quick and easy appetizer to have in your wheelhouse. 1. Preheat your oven to 350 degrees Fahrenheit. Lay out however many slices of bread you would like to make. I made 8 for this recipe. 2. Spread a very thin bit of butter on the bread slices. 3. Lay a very thin layer of grated cheddar cheese on top next. 4. 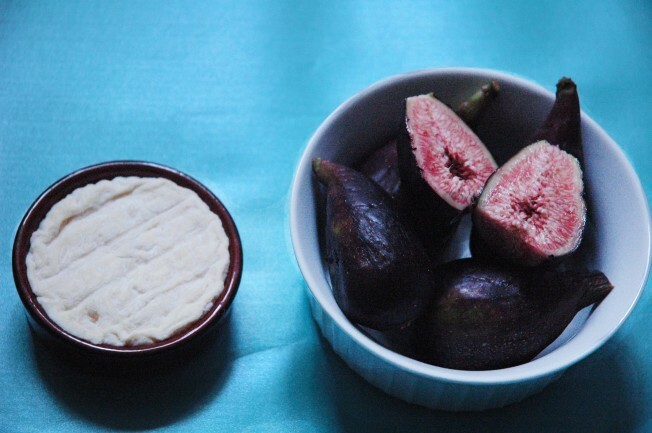 Chop the figs into bite size pieces. Slices would work as well if you feel so inclined. 6. Pop in the oven for 5 minutes just until the cheese has melted and the crust of the bread starts to get crispy. Enjoy immediately, these won’t last long! What is your favorite fruit and cheese pairing? Categories: Farmers market = Joy, Local, London, On The Side, Small Bites, Vegetarian Tags: appetizer, bread, butter, cheese, crostini, figs, french, London, vegetarian. permalink.